Supermind and the Calendar – any Connection? Those who follow the websites dedicated to Sri Aurobindo and the supramental Yoga may be puzzled reading Lori Tompkins’ latest contribution, failing to see any connection between the calendar and his work. Actually there is no other area of contemporary Indian life that better reflects the need for his intervention than in matters relating to the Hindu Calendar in use today and officially established by a group of scientists under the auspices of the Government in 1953. What transpired then in this issue crucial to society as a whole, reflects better than anything else the hold of the old spirituality over the civilisation. And certainly we realise that one of the main objectives of Sri Aurobindo’s mission was to loosen that hold and finally to introduce the new ‘direction’, as I call it. The problem surfaced then because Jawaharlal Nehru realised that a unifying calendar was required for Hindus and he believed that science had to take the lead to cement further the division between astronomy and astrology, the latter being synonymous with superstition in his eyes. This slow distancing between the two began a millennium earlier with the system propagated by scientists finally overtaking the world of higher knowledge several centuries ago; the result is that a total confusion exists in matters that had always been crystal clear. The word cosmos means order. This is certainly not applicable to the cosmic connection in post-independence India, thanks to the intrusion of science in matters beyond its purview. Rather, the truth is that time reckoning, as it stands today, has lost all claim to higher knowledge because of what I call the Ayanamsha Chaos. The discovery of the correct zero starting point of the circle (ayanamsha) of time measure is the most important element for establishing Order in these matters. At the same time the chaos we find in this area displays the same corruption that plagues Indian society on numerous levels due to vested interests of various sorts. The only difference is that we would never expect to find this disease in sacred matters. I realised this very early on when I saw the confusion perpetrated by the numerous almanac writers in order that by the ‘uniqueness’ of their respective ‘more accurate’ ayanamsha they might further the sale of their ephemeris by gathering more followers for their system over others. This unfortunate situation, a virtual commercialisation of the Sacred, was displayed at the Conference to which I was invited to speak;1 it seemed to encapsulate everything that needs to be transformed if India is to rise to the occasion and fulfil her higher destiny as envisioned by Sri Aurobindo and the Mother and confirmed by the new cosmology. Interestingly, this fulfilment hinges on putting order in matters cosmic insofar as this civilisation is the only one surviving that can still trace a connection to the ancient past before orthodox and exclusivist religions did away with that Tradition in the first millennium. 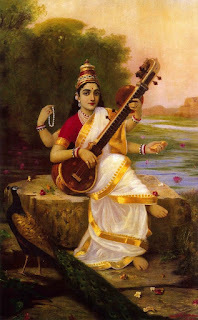 With that dismissal any hope of a continued cosmic connection was lost, since the Feminine Principle stands at the heart of any discipline wherein the Divine Maya, or Measure, is required. And the new faiths dismissed the Feminine with concepts that equated it with evil; or, as in Advaita, a beguiling temptress to be resisted and finally dismissed as mere insubstantial illusion. India held on to the connection for several centuries, but eventually succumbed to the wave that swamped the entire globe during the first millennium. The current Hindu calendar entirely reflects the hold systems like Advaita or Mayavada have over the psyche of the civilisation. What has this to do with Sri Aurobindo’s work? Certainly mention of the Divine Maya should make at least the first step in drawing the threads together easier for the student of Sri Aurobindo’s work to grasp. And from that first lead we arrive at the core of the matter which is his avatarhood. The connection between Supermind and the calendar is not suspected because most of his followers do not realise that he was Vishnu’s 9th Avatar. As tradition tells us, the Vishnu Avatar comes when the Dharma has reached its lowest ebb, certainly the current situation. His task is to re-establish that Dharma. But herein lies the root of the confusion because we all have different ideas of what that might be and what it might entail for contemporary society. But if we study carefully his life and work – factual and not only devotional – the method to carry out the transformation, in this case embracing an entire society and civilisation, becomes clear. This is where an enlightened calendar becomes essential. There has to be a means to carry all of India (its majority population in fact) forward on a single course; but insofar as the universal calendar in use throughout most of the world is the same used in the Vedic and Sangam eras, it is evident that wisdom prevailed when at Independence that was the calendar adopted for civic purposes. In so doing the forefathers took the nation closer to its Vedic and Sangam roots – and thereby closer to the fulfilment of Sri Aurobindo and the Mother’s goal. At this point it must be mentioned that this was the calendar used in their Ashram in Pondicherry from its inception until today – and not the Hindu calendar governing temple observances and horoscopy. Some might argue that this is because they wanted to distance themselves from ritual and even astrology; but this was not the case. They did so because the Hindu calendar is wrong and needs to be discarded. If we study the happenings surrounding the Vishnu Avatar’s work over the past three decades – i.e., from the time of the Mother’s passing – we note that the seeds of undermining took root then and have developed into hardy trees. The same confusion we observe in the nation we observe in Ashram and Auroville affairs. Certainly it is not far-fetched to look for a single root cause, especially since Sri Aurobindo’s work seeks to bring about a transformed India and the world. Thus the state of the nation cannot be overlooked, nor the condition prevailing in the laboratory of his work. And if this exercise is carried out from 1970 to today, culminating with the First National Conference to reform the Hindu calendar, the correspondence is all too clear. However, the connection with Sri Aurobindo’s work would not at all be clear without the Mother’s contribution – again, factual not imaginary. Enter the calendar that makes applicable what would otherwise remain trapped in the transcendence of philosophy. I realise that introducing, as I must at this point, the Mother’s original plan of the Inner Chamber of the Matrimandir will raise the hackles of Aurovilleans. But since this is the decade of exposure, none can escape this fate. Exposure is the divine Strategy to loosen the hold of the Ignorance over the world. Therefore, the truth of the matter is that without considering her contribution, not the revised version of the architects, I would not have been able to link conclusively the calendar controversy to their work by having offered the most complete documentation possible of the original plan to prove the point. Whoever has studied that documentation (Chronicles of the Inner Chamber, www.matacom.com) cannot fail to appreciate the connection – and, more importantly, the solution. The Mother’s plan is Vedic to the core – though not many so-called Vedic Astrologers would agree since they would not recognise hers as being in any way a true Vedic temple. In fact, the Mother’s is the new Indian temple architecture for the new Age. It does not destroy the earlier foundation, which is still valid in spite of the latter-day Ayanamsha Chaos, but it builds on those foundations without any need of tearing down the great accomplishments of the distant past. The need of the hour is to remove the ‘cobwebs’, as I have called them, that have accrued around the truths of the Vedic Age. At the same time an updating is demanded to APPLY the sacred sciences to contemporary society precisely by introducing the new cosmic language the Mother left us before her passing. That is, the process has to be creative and not destructive, if it is to be revealed as supramental, as the fruit of a truth-conscious inspiration. The means to do so creatively is to re-establish the same foundation and point of conver-gence as in the Vedic Age – that is, the Year. This was the focal point of the Vedic Sacrifice; it is the very same focal point of the Mother’s original plan of her Chamber. More astonishingly, the Ray – gau/cow of the former Age – has materialised the Divine Measure before our eyes today since as per her original plan, the length of the Ray (gau) corresponds exactly to the Year of 365 days. This is the first time in the history of the sacred sciences that we find the harmony of Time and Space captured in architecture. These remarkable facts can be ascertained through the tho-rough documentation on the Matrimandir Action Committee’s website: www.matacom.com. They leave no doubt that the Mother has brought the Vedic Temple into our new Age, given it a new and transformed Body as it were, in a way that can satisfy both science and spirituality. Her original plan contains all the details of that third way beyond both science and spirituality, which she described as the solution to the conundrum of their polarity. Regarding the Chamber’s core, where opposites are supramentally reconciled, she declared it to be the symbol of the future realisation. Those who deny her this ability and accomplishment have played right into the hands of the Underminers. The Mother’s inner chamber locates the two ‘years’ that we must use for time reckoning in an evolved society: the space year which begins with the Spring Equinox (northern hemisphere) of March, and the time year which is situated in the calendar year on January 1st as per her mathematical plan. 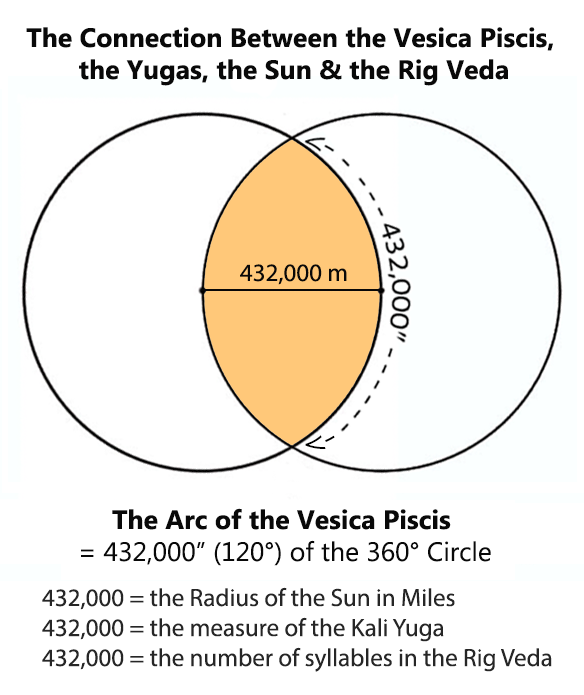 That most of the world observes these Vedic dates, except India thanks to the Post-Vedic Astrologers, indicates how much penetration Supermind has made in the evolutionary matrix, though vested interests in India refuse to follow its enlightened lead, just as they refused to accept Sri Aurobindo’s superior approach to the Veda. When it is understood that the same vested interests on the occult plane that opposed the Mother’s original plan are determined to oppose any reform of the Hindu calendar, linking contemporary society to the Vedic Age, we realise that there is a method to the madness of the Ayanamsha Chaos. And interestingly, approximately 60 temples in Tamil Nadu have introduced the Vedic method of time reckoning to follow the Avatar’s lead in the very Tamil land where he lived and fulfilled his mission. There has been a concerted effort to oppose adoption of the Mother’s original plan for the Auroville construction. Similarly there is a concerted effort to block adoption of the true Vedic calendar. History has repeated itself because they both contain the same key to Gnostic Time that unifies rather than divides. And just as there is an impeccable coherency in the developmental arc of Sri Aurobindo and the Mother’s work, a clearly discernible thread running through the years during which they carried out their joint mission of transformation, so too there is a similar discernible coherency in the opposition to their work. Finally, it is a question of the chicken or egg conundrum. If the nation had adopted the universal calendar for sacred purposes at Independence, as it did for civic matters, the Mother’s original plan would have been irresistible. But as facts not fiction reveal, both failed; and in both arenas confusion prevails with no solution in sight. There is no ‘centre that holds’ in Auroville and the Ashram; likewise there is no centre that can unify all the energies of the Hindu Samaj to live the dictum diversity in unity. The Year is similar to an axis in a heavenly body. Certainly it is elusive because that is the nature of Time, the fourth aid in the integral and supramental yogas. It is when we reach the Age of Supermind that this issue becomes essential to grasp because by its very definition there must be a method whereby the three foundational principles of the Yoga are integrated to form a society expressing the Divine Maya, as the Mother indicated in her original plan and as expressed in Sri Aurobindo’s own symbol. There we find the key to the calendar and to gnostic Time: the descending petals of the Avatar’s Lotus numbering 9 (Transcendent), 6 (Cosmic), and 3 (Individual/Soul). The Formula based on 9 (his symbol) combines with the 12 (her symbol) in the Chamber to reproduce in matter the time year (9) and the space year (12) – or vertical and horizontal cosmic directions. This is the essence of the Chamber’s core, for which reason she called it the symbol of the future realisation. 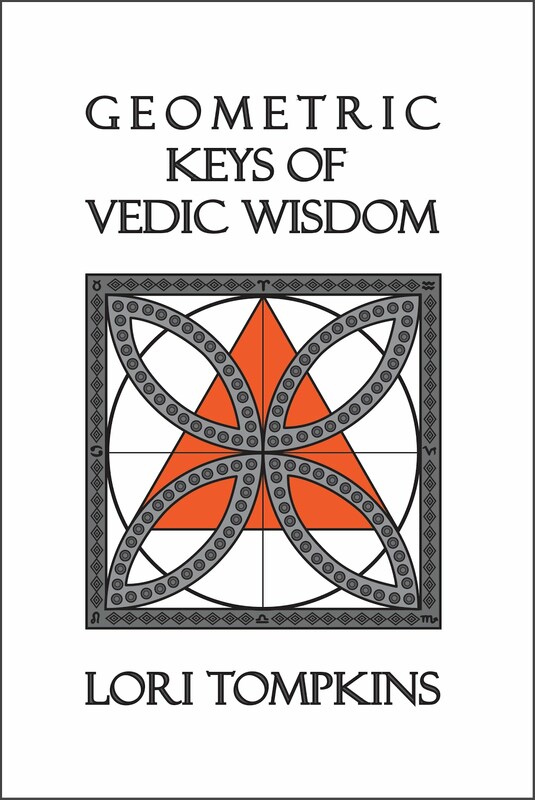 Sri Aurobindo wrote in The Secret of the Veda that the ‘soul of knowledge had fled from its coverings’ when describing conditions surrounding the Veda at the time he wrote his opus magnum. Nothing but empty ritual remained. This occurs when the key to gnostic Time is lost because it is Time that adds gnosis to Form – otherwise we have inert Shiva, awaiting the impulses from the divine Shakti to engender movement, to set in motion the Becoming as equal to Being in the deployment of Supermind on Earth. The Year as the body of Time is the means to make a connection with that Gnosis, today as in the Vedic Age. We are blessed on Earth to occupy this third orbit in our solar system where we can be conscious participants in the ‘journey’ through the Year, just as the ancient Rishis did so very long ago. But if we study what unfolded at the Conference, there was no higher knowledge in evidence there as one would expect at such a meeting, the very heart of which is everything most sacred to the Tradition that India has managed to preserve in spite of all divide-and-rule tactics – and in this I include the Ayanamsha Chaos. When the speaker who followed me, an astronomer I believe, stated ‘This is science not Veda,’ in an attempt to belittle my emphasis on the higher aspects of the issue, it was a confirmation that the ‘soul of knowledge’ had indeed taken flight. This is the area we must concentrate on because without the proper field wherein the higher things can be established – a field that is generated through the fourth aid of the Yoga – nothing of those true things can take root. Time is akin to the soil where an occult ‘seed’ is planted. With the Knowledge contained in the Mother’s original plan we are given the key to the harmony of soil and seed, or Space and Time. Indeed, that future realisation. This is what the Mother sought to do by insisting on the adoption of her plan for the inner chamber (‘…Now I have seen, I don’t need anyone’). This is what I sought to do by revealing in very minute detail just exactly what she had done, what she had brought down from the supramental plane. But just as vested interests blocked a nationwide adoption of the Vedic system of calendrical time reckoning, so too did vested interests succeed in blocking the materialisation of the Mother’s vision in Auroville. To be born in mind, however, is that time moves on, and when Gnostic Time is one’s ally the supramental Truth-Consciousness cannot fail to overtake the Field it itself has produced and nurtured. Then the dictum of Aeon Centre of Cosmology is validated: All, negative and positive, serves the purposes of the One. What transpires before us today is impeccably correct if we have eyes to see. That is where the new cosmology enters. It unmasks those vested interests we find everywhere, contaminating everything, with little regard for human sentiments just as the Time-Spirit displayed in Arjun’s vision when he desired to see his Friend’s true form. But Arjun belonged to another Age, the period of the 8th Avatar, and therefore he could not bear that terrible and awesome vision. In this age of the 9th, however, it is precisely the 9 and the Time-Spirit that hold to key to Time’s gnostic workings as Sri Aurobindo’s symbol informs us. The Mother materialised the Supramental Formula encoded in Sri Aurobindo’s symbol. In so doing she has offered India the plan for the proper calendar that elevates and unites what would otherwise remain hopelessly divided, degenerating further and further into mere superstition. This is the goal of science in these sacred matters, the essence of which it ignores: to oppose that Formula so that India can never fulfil her destiny in which all things find their proper place, science included. 1 The First International Conference on Calendar Reform, Tirumala, 24-26 December 2010. 2 Readers may be confused by calling the calendar Vedic insofar as the propagators of the current calendar in use describe it as ‘vedic’ or themselves as ‘Vedic Astrologers’. The truth of the matter is that they should be referred to as Post-Vedic. Then there would be no confusion. 3 This is similar to Sri Aurobindo’s remarks regarding the experience the Mother had on 26.11.1915, which he stated was Vedic ‘but not one that would be recognised as Vedic’ by those who practice the new yogas, calling them Vedic.